Many people would look at a game in January between two teams with four combined wins and assume it wasn’t going to provide much in the way of entertainment. Those people have obviously never been part of the "War on the Shore." 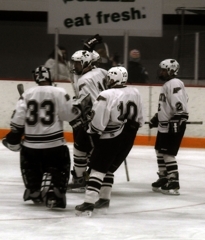 The rivalry between the Two Harbors and Silver Bay hockey teams is one of the most heated in the Northland, as their matchup on Tuesday, Jan. 4, showed. 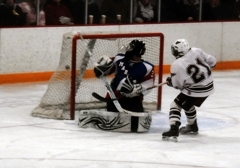 With Silver Bay on a power play, Ryan DeShaw ripped a shot from the point and found a small pocket between the pipe and Two Harbors goaltender Micky Smith’s skate to win the game for the Mariners with 1:13 left in overtime session. 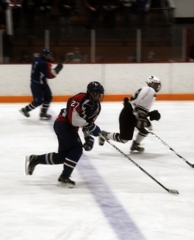 The overtime period saw most of the chances going to Two Harbors; and mostly off the stick of Agates' star senior forward Ben Ruberg. DeShaw talked about his team’s strategy for the overtime. That strategy hadn’t worked too well until Ruberg took a tripping penalty with 2:50 left in overtime. “We just got to stay focused” coach Wasko explained, “And I don’t know if it’s so much he tripped as much as it was that he stepped on his stick. But those are the calls you got to live with. It’s tough because (Ruberg) kills a lot of penalties for us. 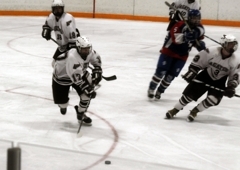 Despite the tough loss in overtime, coach Wasko feels his team has improved greatly. The Mariners took the first lead with just over 10 minutes to play in the first period on an unassisted power-play goal scored by Ruslan Loeffler. That score would stand as Silver Bay headed to the locker room with a 1-0 lead, but Two Harbors had the edge in shots 8-7. Two Harbors head coach Steve Wasko tried to pump up his players after the first period. It took less than 3 minutes to get that crowd on their feet as Two Harbors' Jake Homstad scored an unassisted goal to tie the game at 1. 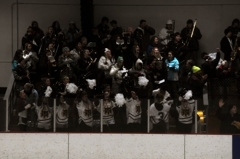 Just 6 minutes later the crowd got even louder as Two Harbors took its first lead of the game. 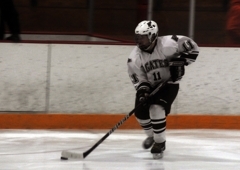 Ruberg scored to give the Agates a 2-1 lead with 8 minutes to play in the second period. 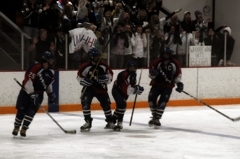 DeShaw tied the score at 2 in the third period, then Brad Rowlee put the Mariners ahead by a goal. Two Harbors' Daniel Seipke scored his second goal of the season to tie the game at 3 with just under 4 minutes left to play in regulation. 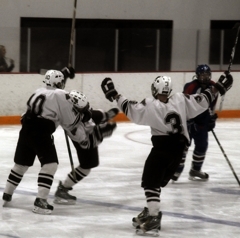 DeShaw scored two goals, including the game winner in overtime. His first goal came in the third period to tie the game at 2. Seipke scored only his second goal of the season with just less than 4 minutes left to play in regulation to tie the game and force overtime. 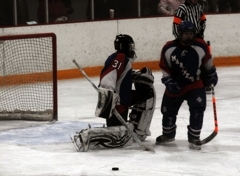 Smith made 37 saves, and his stellar play kept the Agates in position for the win until the overtime goal.